When a search of cases from Philadelphia County is conducted using "other criteria", the search results will include all applicable Philadelphia Municipal Court (MC) and Court of Common Pleas (CP) cases. In Philadelphia County, MC has initial jurisdiction in processing every criminal arrest in Philadelphia and conducts misdemeanor trials and preliminary hearings for all felony cases. Therefore, some cases, such as those involving felony offenses, will initially be filed in MC but will be adjudicated in the CP. Thus, some cases will have both a MC and CP docket number that concern the same incident or offenses. To determine if a MC case has a related CP case (or vice versa), please review the "cross court docket number" field appearing on the web docket sheet (see page one in the case information section). Specifically, if a MC case has a corresponding CP case, the CP case docket number will most often be set forth as the "cross court docket number" on the web docket sheet for the MC. Similarly, if a CP case has a corresponding MC case, the MC case docket number will most often be set forth as the "cross court docket number" on the CP case web docket sheet. Click here to view information concerning the 'number' and 'oldest year' of cases migrated from county legacy systems to CPCMS. While not all cases were migrated, this chart will provide a general guideline as to the age of a criminal case available from the Court of Common Pleas Web Docket Sheet. 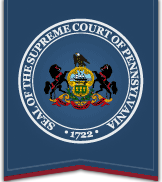 The webpage you are viewing is operated and maintained by Pennsylvania's Unified Judicial System as a source of public information. The webpage is not affiliated with any search system for public records provided by private organizations for which fees may be incurred. The ability to search for and review information contained in these web docket sheets is a free public service.